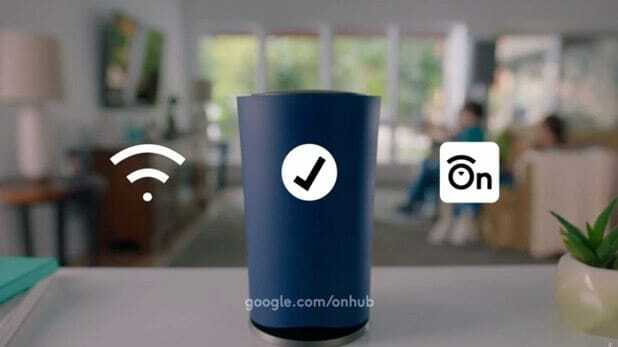 Buffering internet connections may become a thing of the past as Google launches a leap forward in wi-fi networking with OnHub. OnHub is designed to stop your internet connection shuddering to a stop as you reach the climax of a movie or streaming sports match. In partnership with technology company TP-Link, OnHub is only available so far in the USA and Canada for US$199 – so the cost of a superfast wi-fi connection does not come cheap. The typical price point of a modern router is around $79, so OnHub would need to achieve some spectacular results to encourage users to dig an extra $120 out of their pockets. Google says OnHub is the first of a new generation of routers. Shaped like a small rubbish bin, OnHub does away with the jungle of cords and aerials most people have plugged into to their router. Instead, everything is packed inside – including wi-fi, Bluetooth and Weave outputs. The router is managed from the Google On app from a phone, tablet or laptop. The app shows connected devices, available bandwidth and lets users prioritise services, so streaming TV or video can take precedence over other usage. The hub has built-in upgradability to connect with the internet of things so other appliances can be operated from the app. In a tease, Google’s group product manager Trond Wuellner promises hardware firm ASUS will announce OnHub projects later in the year. He explained OnHub comes with a host of features aimed at taking away the pain of trying to maintain a working wi-fi network at home or in a small office. “The hub auto updates with the latest software and security upgrades,” he said. Some reviews suggest OnHub will gather data to send back to Google HQ for analysis, but the tech giant promises that the information gathered from wireless and Bluetooth signals at homes will not be harvested to target advertising. Although OnHub is only on sale in North America, reviewers suggest that the router will work in British households without modification – except for the plug. The ports are USB 3 and two Ethernet connections – one for a modem and another for a hub or direct laptop connection.